I am continuing my series of articles about creating stunning Beauty portraits and I would like to talk about on location lighting today. 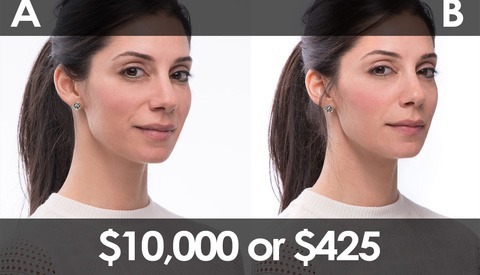 Please note that not only are we talking about advertising Beauty photography, examples of which you may see in the cosmetics section of a department store, or in fashion magazine ads, but we are also talking about simple female Beauty portraits that many of you are probably often hired to photograph for your female clients locally. I personally love Beauty images photographed with natural light as well as with studio lighting, and normally my choice of lighting will depend on the following circumstances. If it's a private client photo shoot, and we're shooting at my client's home or at an outdoor location, I will normally bring my lights and a portable power source (just in case), but will shoot with existing light and my favorite light modifier - silver reflector - whenever possible. Shooting with natural light allows me to open up the aperture and create that wonderful softness in the frame that makes Beauty images so gentle, delicate and feminine. I always try to have at least two light sources for any beauty portrait - it helps me to create more depth and volume in a 2-dimensional image. When shooting outdoors, I use my 40" (101.6 cm) reflector as key light by placing my model so that the sun is behind her (no direct sun light reaches her face) and bouncing the sun light onto her face and body off the silver side of my reflector, like in the two following images. When shooting indoor on location, I always search for a spot where I can place my client or model between a couple of existing light sources. I arrange it in the way that one of the light sources (usually the larger one) will be the key light, and the other one will either add rim light and separate my subject from the background, or simply add interesting detail in the background. The following portrait was photographed in a coffee shop in Moscow, 2010. My friend, internationally published professional model Elena Fomina, was sitting at our table facing a large window, which was behind me, slightly on my right. The lights in the background are simple wall lights inside the coffee shop. Not only did they add interest in the otherwise completely dark background, they also threw some warm rim light onto my model's hair. In the next picture, the adult movie star Dani Daniels and I were shooting at my home. I placed her right by a large window (on my right) while the light from the windows in the kitchen were filling in the shadows (on my left). In the following portrait, my beautiful friend, Australian singer and songwriter Tyla Bertolli and I were shooting in my home in Melbourne, Australia. I sat Tyla right under a small window in a bright room and fired my flash into a wall behind me, slightly on my left. So, the key light in this photo is the diffused light bouncing off of a large bright wall. The highlights, which you can see on her cheek and her beautiful hair, is the light spilling down from the window behind her. Similar lighting setup where I added an artificial light source as key light and used the ambient light coming from the window as rim light is in the following image, which you've already seen in my previous article about Framing & Composition. In this particular setup I was able to add interest to the photo by using a continuous light source (warm key light) instead of a flash, which allowed me to open up the aperture wider to achieve shallower depth of field, and create the softness throughout the frame just like I love. Plus, the day light pouring into the room through the window was of a higher color temperature than my continuous light source, which helped me to get this beautiful combination of cool and warm colors. So, as you can see, there are plenty of variations as to how you can set up your lighting for indoor and outdoor Beauty photography using artificial and natural light. 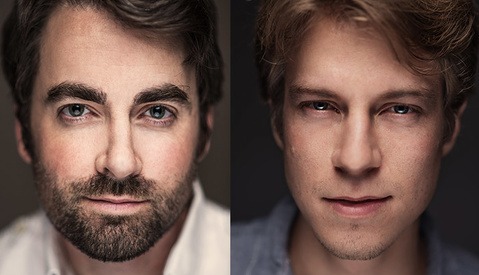 It is even possible to create beautiful lighting with just one reflector! 1. You can always see the catchlights in the models' eyes. If both eyes are visible to the viewer, the catchlights should be in both eyes in most situations. 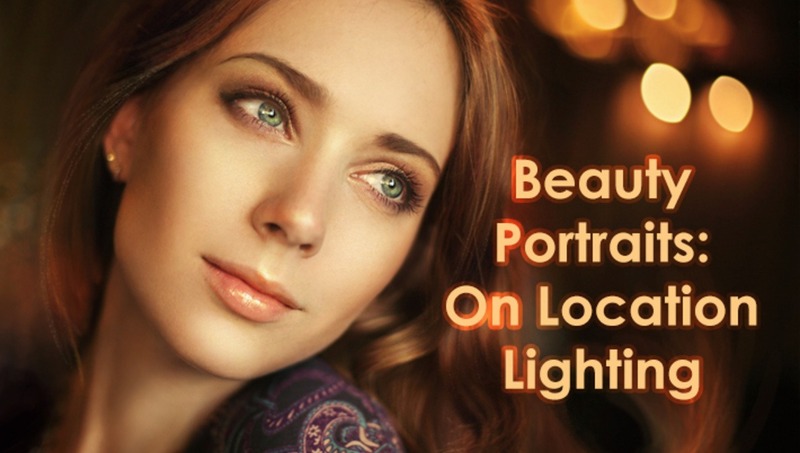 Catchlights is what makes human eyes alive, attractive and interesting in photographs. When you are placing your model and the key light, keep this in mind and it will help you make correct decision as to how to adjust the model's and the key light's positions in relation to one another. 2. I never use side light when creating female portraits. 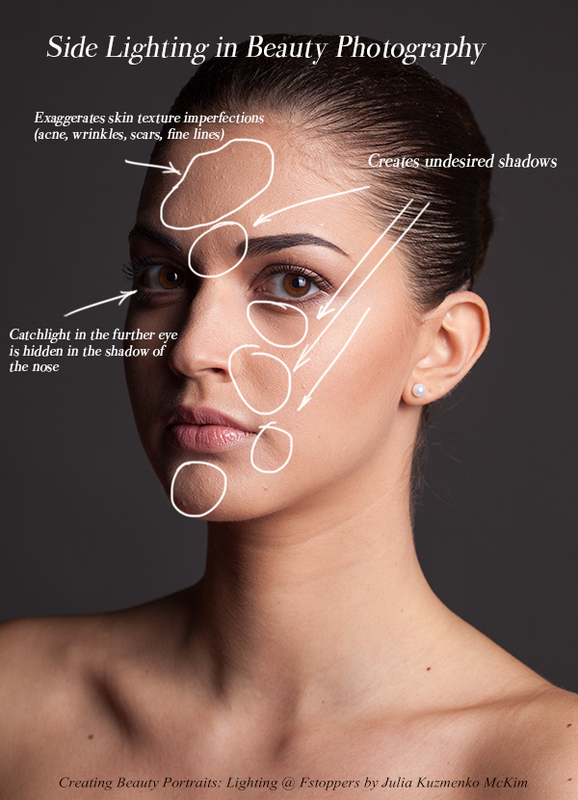 Unless you are dealing with a model with flawless skin, amazing bone structure and ideal weight, side lighting will be unflattering for most women. The older, more overweight your client or model is, and the less perfect her skin texture is, the worse the effects of the side lighting will be. Place the key light not too far from yourself to your left or right and tell your model to make sure that she sees it with her both eyes at all times. That way as soon as she turns away from the main light far enough for her nose to cast a shadow over her further eye, she'll know she needs to turn back towards the main light. 3. Prime lenses, wide apertures. Whenever I shoot on location I almost always choose prime lenses, open up the aperture as wide as I can and shoot with ambient light adding artificial light sources only when I need to add rim light or fill the shadows. Note: I normally don't go below f/1.6 if I want model's both eyes to be in focus. 4. 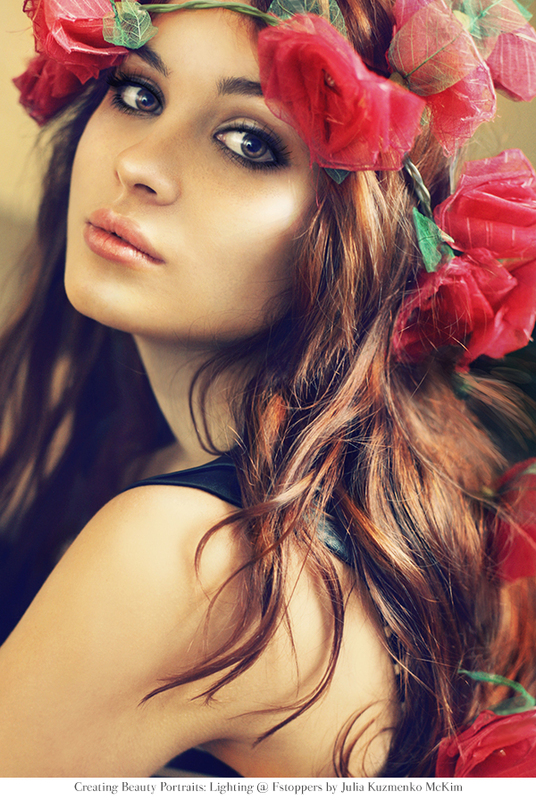 Shallow depth of field and soft light help make retouching easier. Shooting with softer (diffused) natural light and wide apertures is also very helpful when you are shooting a client with aged or problematic skin (acne, scarring, etc.). Shallow depth of field will help you "hide" the flaws on the skin by making them less contrasty and sharp, and diffused light will make it much easier to even out the skin texture in post-production. The same goes for when you don't have a makeup artist on set - soft light and shallow depth of field will trick the viewer out of noticing makeup imperfections and make it easier for you to fix them in post-production. However, it of course will depend on the situation. 5. Focus plane. When shooting with wide apertures move your model and your camera so that you strategically place the focus plane on the areas which you would like to attract the viewers' attention to, meaning, the areas you would like to "hide" should end up in the blurred parts of the frame. 6. Slimming with smart framing. Crop smart leaving the outlines of the body parts such as shoulders and arms outside of the frame, when you need to visually slim down your client. Hope you enjoyed this article and have learned something new. In my next article I will talk about lighting for Beauty images photographed in studio. 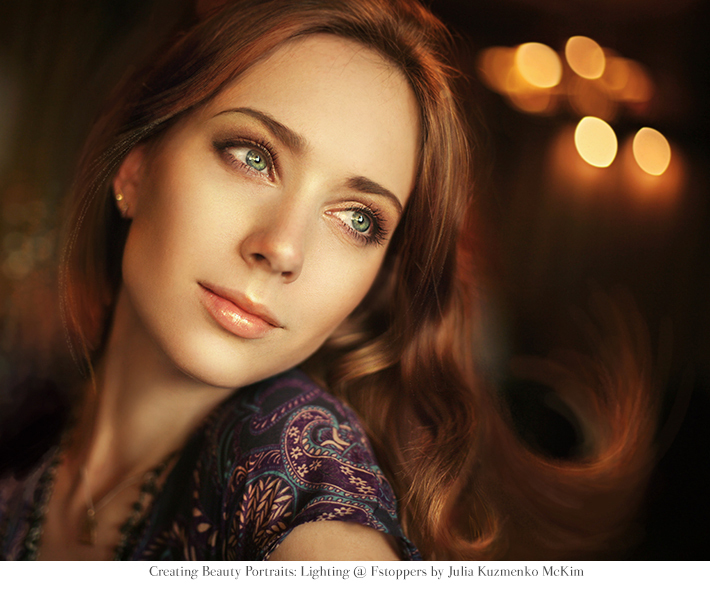 Meanwhile, make sure to check out my Studio Beauty Lighting & Retouching – Where Does Great Photography Start? article on my blog. It will help you get even more great tips out of this series of articles. Julia is the only reason I still follow this site. Eyes? You're not fooling anyone, Tam..
She has BIG eyes, I swear. I stumbled across a vine. Nice eyes she has. lmao at the the people who recognized a certain actress. I hope to achieve a better beauty portfolio and thank you julia for this article and series. Fantastic! I assume they all had professional hair/make-up before the shoot? I love 50mm and use mainly for shoots like this, but I also use my 24-70 2.8 for on location portraits. For studio mainly 100mm, which I'll talk about next time. thank you for your reply, it's refreshing to see a contributor as involved and helpful as you. Of course, it's my pleasure! I'm rolling with team #Julia!! She has definitely helped me create some beautiful work!! Thanks for the love Ken!! Every damn time I read Julia's posts (or ebook) I just wanna go out and shoot someone (with my camera, not a gun). I need a prime lens and a big window. Stat. Thank you for awesome content yet again, Julia! i would like to see your retouch and color grading techniques videos. love the colors. Another very well written article. This is the kind of content that stop FStoppers from being just a news source for regurgitated articles. Very nice work!! !